Should you apply for a personal loan from Discover or look for a better lending option? Read our review to find out! What are Personal Loans from Discover? Most people associate Discover with credit cards, but the company also offers personal loans. On the website under "Types of Loans" you'll see sections like "Wedding Loans" but all of the products are personal loans. Your approval and the terms you're offered will not depend on your travel or wedding budget. It's going to be based on your creditworthiness. Your credit history, employment status, and annual gross income will be evaluated. If you are approved you can spend the money on whatever you want. There is no reporting involved. However, the debt consolidation loans are slightly different. This combines your debt into one loan with a fixed APR which is paid off in fixed, monthly installments. Visitors to loan webpage will also see a comparison of lenders showcasing that Discover does not charge origination fees. This is definitely a plus, but not unique. Other lenders like SoFi also do not charge origination fees and have lower interest rates. So why apply for a personal loan from Discover, and it is the right choice for you? 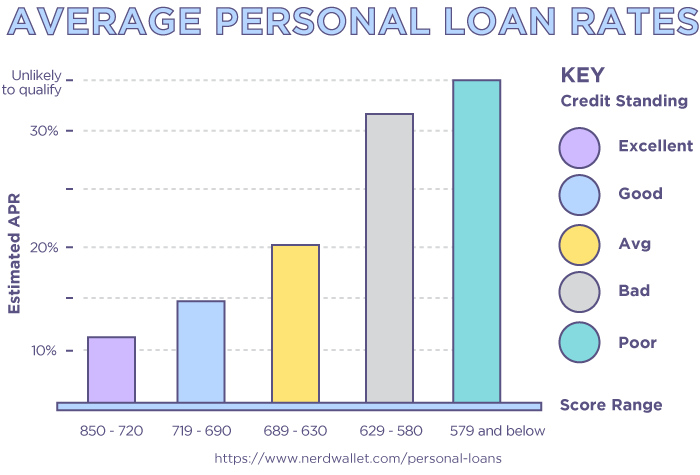 One feature that sets Discover personal loans apart is that applicants who have a credit score of 660, or "Good,” can be approved. In contrast, top competitor SoFi only approves applications with "Great" or "Excellent" credit scores. So, if you were denied a loan by another lender, Discover may be an option. But there are some drawbacks to consider, too. Numerous people posting one- or two-star scores the Discover Personal Loans Customer Review page say the APR is higher than they expected. Comments include, "The process was OK, but I was disappointed with the interest rate" and, "Not happy with the rate but the business part was good." On the Discover Personal Loans customer review site, there are many complaints about customer service. There are several stories about people who are quoted a monthly payment amount by the customer rep and then when they get their first bill they find it is different. Others talk about a tedious application process where they are passed from department to department on the phone. Customer reps are described as poorly trained. Who Should Use Discover Personal Loans? Borrowers who have been denied by other lenders, are looking for a structured payment plan, or want to consolidate debt should consider applying for a loan. Keep in mind that fees will be charged to borrowers who do not make on-time payments. If you are worried about making monthly payments on time, do not apply for a loan from Discover. If you decide a loan is the right choice, you’ll first want to calculate your budget and how much you need to borrow to achieve it. Then you need to decide what's more important to you: getting it paid off as early as possible to avoid interest, or having low monthly payments. You'll be given both options when Discover gives you an offer and you can pick accordingly. Discover offers a tool, an online Personal Loan Calculator, to help you make decisions. To use it, you’ll indicate your credit score ranking, the amount you want to borrow, and what you're borrowing it for. Then you get a breakdown of how much your monthly payment will be if you choose any term between three and seven years. We only wish it also calculated how much extra interest you would pay for choosing different years. Instead of going to a financial institution like Discover for a loan, you could look into peer-to-peer lending sites. These are web-based programs that let small investors pool their money and lend it out at a profit. 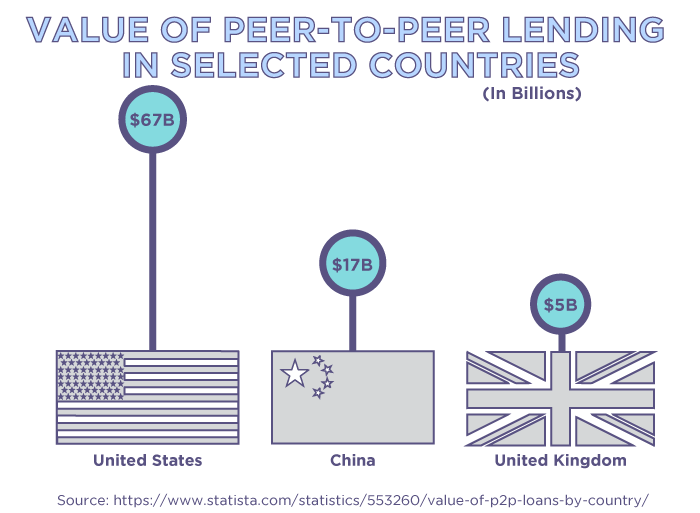 There are many peer-to-peer lenders, and when evaluating your options, watch out for fees. Sofi doesn’t charge origination fees, but Lending Club does. Depending on what you want to use the loan for, you might also find other types of lenders. For instance, if you like Discover Green Loans you may want to check out Green Energy Money. Energy-smart home retrofits for energy efficiency and renewable energy are financed by a company called Green Energy Money (GEM). The company doesn't just finance projects – it also connects its borrowers to builders and tradespeople who specialize in sustainable homes. What is the minimum age for a Discover Personal Loan? You need to be 18 years of age to get a Discover Personal Loan. Can a non-U.S. citizen get a Discover Personal Loan? No, you have to be a U.S. Citizen or Permanent Resident. Can I get a Discover Personal Loan on the same day as I apply? No, it will be at least one day and as long as 7 -10 days. Discover is going to ask what you need the money for. But once approved you can use the money for anything you want. You are not restricted to just spending it on your home or a vacation or a wedding. If you are borrowing for debt consolidation Discover Personal Loans will make direct payments to your other creditors up to 70% of the total loan amount. What is the rating for Discover Personal Loans with the Better Business Bureau? The BBB gives Discover Personal Loans a B-minus. Is there a fixed interest rate? Yes, the interest rate you agree upon is locked in over the life of the loan. No, you can't defer a payment with Discover Personal Loans. Are the loans secured or unsecured? Unsecured. There is no down payment or security deposit for borrowing with Discover Personal Loans. Will my credit score get affected if I miss a payment? A penalty fee of $39 is charged for late payments. If you're 60 or 90 days late it will be reported to the credit bureaus. Can I have two loans at the same time? Yes, once you have had the first loan for 90 days you can apply for a second Discover Personal Loan. What documentation does Discover Personal Loans need in order to approve my request for a loan? You don't need any documentation for the initial soft pull to determine if you qualify. For the full approval hard pull, you will need income verification (for example your most recent paystub). Does Discover Personal Loans offer services in all states? How long is the whole process of applying? After you've sent in your initial application to see if you qualify, you'll get an offer in 8 to 10 minutes. If you go ahead with a full application the hard pull credit check is typically finished up on the same day. But if verifications are requested they could add 24 hours to get cleared. How long does it take for the funds to get dispersed? The funds are often dispersed the next business day after approval. But it can take 7-10 business days. Will the money be deposited straight into my bank account? You can get the money deposited into your account or you can get a check sent to you. If you are borrowing for debt consolidation Discover Personal Loans can send other creditors payments directly. Whether it's for a wedding, a vacation, energy efficient home upgrades, or debt consolidation, Discover can get you the funds you need to live your dreams. Unlike some other personal lenders that charge a hefty loan origination fee, Discover Personal Loans doesn't make you pay extra to borrow. You also get to pick whether you'd like to pay it off quickly and pay less interest or have lower monthly payments. You won't get the best rates available in the industry. You will get the funds you need. Do you use Discover for personal loans?